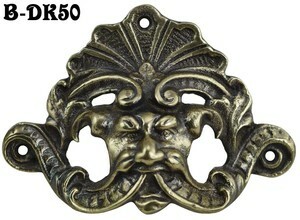 Cast Victorian style giant bin pull or chest lifting handle. Since we make this handle by sand casting, rather than using Lost Wax casting, save money with this economical pull, yet still have a dramatic impact. Face could be interpreted as Neptune, with the shell behind the head. Would also work with our North Wind series, or Spirit of the Wind antiques. 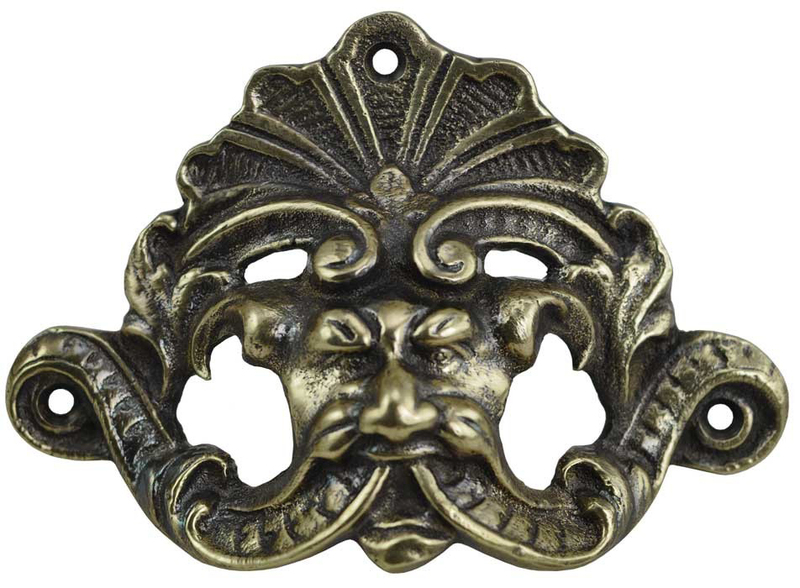 Figural drawer pulls were popular for hundreds of years, identifying with tales from mythology and classic reading.